In the early 1990s Kingfisher went on a spending spree. It acquired a series of retail businesses across Europe to complement its established Woolworths, B&Q. Comet and Superdrug chains in Britain.This type of expansion strategy was highly fashionable at the time. Critics challenged the disparate nature of the businesses. Was Kingfisher a High Street or an out-of-town retailer? Where did Polish furniture shops fit into the Group? Why were the four main British brands operated separately, rather than sharing common infrastructure and management? 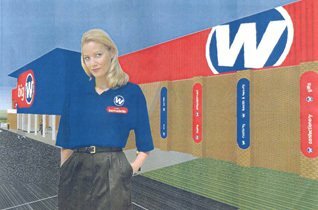 It appeared that Big W might be the answer. The scheme had been a long-standing dream of CEO Sir Geoffrey Mulcahy, bringing all of the big British brands under one roof. The stores would stock products from no less than six of his subsidiaries, adding specialist music from MVC (the Music and Video Club) and products supplied wholesale by E.UK (Entertainment UK Ltd) too. Woolworths Executives felt it was a big compliment when they were asked to manage the new venture, buoyed by flattery from the CEO about the retailer's superior management capabilities. They leapt at the chance. After initial success and a positive press, the concept unravelled as Kingfisher itself fell apart after the failure of its merger plans with Asda. Woolworths was left 'carrying the baby', with huge out-of-town stores which the now independent former siblings did not consider a priority, and, in some cases, did not wish to supply. By 2003 the dream had become a nightmare. Realisation of a dream ... or start of a nightmare? During the 1980s and 1990s the Kingfisher shares grew in value much faster than the overall market. Expansion drove ever-increasing dividends. But, from time-to-time, City Editors challenged the disparate nature of the retail brands. They mused about whether the monolith was just a hotch-potch of shop chains, fearing there was no over-arching strategy. 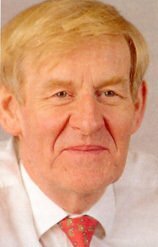 The CEO, Sir Geoffrey Mulcahy, responded that each 'OpCo' was a leader in its markets, or had that potential. 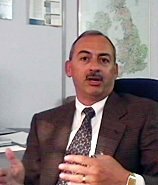 Then, in June 1999, he revealed a plan to bring the major UK brands under one roof, which he argued had been under consideration for a decade. The UK brands covered most major markets, missing only Food and Adult Clothing. Customers could buy white goods, audio, TV and computers from Comet, all manner of DIY and Gardening from B&Q, Health and Beauty from a revitalised Superdrug as welll as a wide selection for the home, leisure time and the children from Woolworths. Behind the scenes, secret work was exploring a merger with Asda which it was hoped would add the missing pieces, with an enviable range of food and clothing. With Woolworths sales and profits on the road to recovery, and the Asda talks going well, the CEO decided to lay some foundations, supported by his protégé and new Woolworths MD, Roger Holmes. Mulcahy asked Woolworths (which would supply the largest part of the range) to take the lead An Executive Search was launched to track down an MD to shape the concept. In parallel, the Group property arm, Chartwell Land, sought suitable sites. Pending the outcome of the Asda talks, food would come from the Booker and Iceland parent, Big Food Group, and adult clothing from Peacocks (Store 21). The headhunters recommended Canadian-born Bob Hetherington. He had begun his career with F. W. Woolworth Co North America, rising to head its Woolco out-of-town Division. When this had been sold to Walmart he had been retained to head its Asia Pacific Region. He had a strong reputation as an inspirational leader and a great motivator. He demonstrated infectious energy and enthusiasm, as he evangelised a larger than life 'fun place to shop' with 'retail-tainment' at the weekend. A location on the outskirts of Edinburgh, Scotland, was chosen as ground zero. The team had nine months to shape the idea, select a range and lay out the store. Between September 1998 and May 1999 they had to engage with other Kingfisher operating companies as well as Big Food Group and Peacocks, agree the processes and supporting systems and select and set up 55,000 products. Within eight months, Hetherington was ready to open up shop. 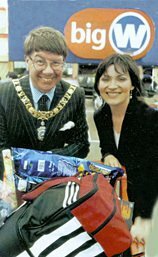 Breakfast television superstar Lorraine Kelly opened the store, alongside the Lord Provost of Edinburgh, Eric Milligan. Kelly told shoppers that she had already chosen several items including toys, and strongly commended the range of knickers, which were beautiful 'and such good value for money too'. CEO Geoff Mulcahy told reporters that Big W was a bold step forward for Kingfisher, and heaped praised on Hetherington and Roger Holmes and Leo McKee, the Woolworths MD and Retail Director. A brass band greeted shoppers as they entered the store, playing an upbeat rendition of the theme to Hawaii Five-O . Inside they were met by rapturous applause from the store staff. The range, atmosphere and energy were all larger than life. 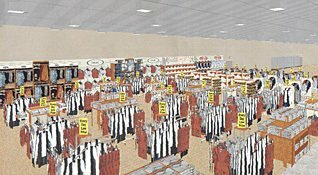 The 100,000 square foot (9,290 m2) store offered a huge range, which was very competitively priced. Customers told the film crews outside said that they loved the new store, were proud that the firm had chosen Edinburgh for the first outlet. Most planned to shop there regularly. The enthusiasm was enough to quell disquiet about the collapse of the talks with Asda for a while. The store had a distinct magic and personality and appeared to have a lot of potential. Early sales exceeded all records and targets. Scots liked the wide selection and the ultra-low prices. Word-of-mouth encouraged others to travel up to 75 miles (120 km) to see for themselves. The performance prompted Kingfisher to accelerate the roll-out. It called on B&Q, Comet and Superdrug to make the project a priority, even if this meant delaying their other plans. By Christmas there was a second branch in Glasgow's Forge Retail Park, with a third in Bristol, South West England, in development. This would be the first to go head-to-head with Asda. Plans were also laid to open in Bradford, Rotherham, Tamworth, Coventry and Redruth (pictured above) during the millennium year. You can see what a Big W store was like in our digital gallery. But all was not well at Kingfisher. The Big W news did not placate frustrated investors for long. There was disquiet at the collapse of the Asda Merger and a suspicion that poor trading performance from the Kingfisher subsidiaries in mainland Europe showed that the CEO had taken his eye off the ball. Pressure mounted for Mulcahy to halt the falling share price. In the end he announced that Kingfisher would be split up. His statement explained that the general merchandise businesses would sold off or floated independently on the Stock Market. This would free 'GM plc' to pursue its exciting strategies while also allowing 'New Kingfisher' to concentrate on its out-of-town interests. Without the guiding hand of Kingfisher, Mulcahy's 'dream come true' soon became a nightmare. It was not long before Executives at B&Q and Comet returned to their other priorities. Instead of demerging with Woolworths, Superdrug was sold privately to Kruidvat, putting further pressure on Big W's supply lines. Without the long-term support of the sister companies, the out-of-town premises looked over-sized. The upwards-only, full repairing, 30 year leases were to become a major millstone for the demerged firm in the twenty-first century.